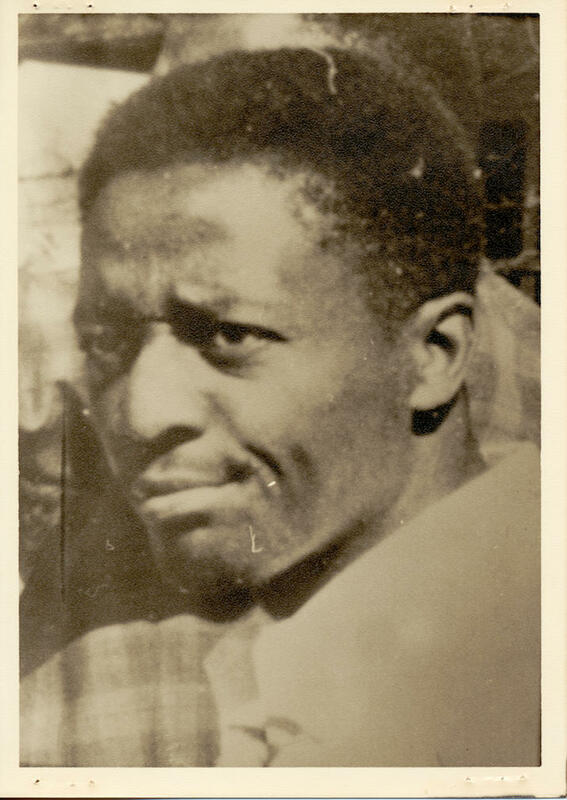 Rudy Shields, a chief organizer of the Port Gibson movement (Mississippi Department of Archives and History, Archives and Records Services Division [#1-112-0-54-1-1-2]) Credit: Courtesy of the Mississippi Department of Archives and History. When Nate Jones returned to Claiborne County after serving in the US Navy during World War II, he had experienced “a little taste of freedom” and was determined to join the National Association for the Advancement of Colored People (NAACP) and register to vote. While still overseas, he urged his wife, Julia, to pay his poll tax. Though she abandoned the attempt after a black friend warned her about possible retaliation, the Joneses saved enough money during the war to purchase a farm near Alcorn College. In the early 1950s the small Claiborne County NAACP branch, founded in the 1940s by Ernest Jones (no relation), began a limited, word-of-mouth recruitment campaign that reached Nate and Julia Jones through a neighboring farmer. They immediately joined and initiated their own quiet recruiting despite the ever-present possibility of violent and economic repercussions. Julia Jones recalled being afraid when her husband picked up their annual membership cards at Collins Barbershop. Every year, she immediately burned the cards. In the early 1960s state NAACP field secretary Medgar Evers and Student Nonviolent Coordinating Committee activist Bob Moses encouraged Nate Jones’s interest in registering to vote, holding two workshops on the subject at the Port Gibson Masonic Temple. Despite implicit white threats and repeated rejections, Jones and a handful of other local NAACP activists returned to the registrar’s office again and again. They ultimately shared their experiences with US Justice Department lawyers, who filed suit against the Claiborne County registrar as part of a broader 1962 voter registration lawsuit, U.S. v. Mississippi. With Evers’s 1963 assassination and the Student Nonviolent Coordinating Committee’s 1962 decision to focus on the Mississippi Delta, the movement appeared to bypass Claiborne County. Moreover, J. D. Boyd, president of the historically black Alcorn Agricultural and Mechanical College, aggressively blocked movement involvement by faculty, staff, and students, cutting off an important potential source of support. Despite the difficulties, Nate Jones and others remained determined, and in late 1965, when Medgar Evers’s successor as NAACP field secretary, his brother, Charles, initiated high-profile campaigns in nearby communities, they were ready to take a public stand. Charles Evers began focusing on Southwest Mississippi after a Klan shooting in Natchez. On the verge of being fired after several years of contentious relations with his New York bosses, Evers sought to solidify his personal power and the NAACP’s organizational prestige by taking advantage of the newly passed Voting Rights Act, the area’s high percentage of voting-age African Americans, and the lack of organizational competition. Evers’s success in Port Gibson and nearby communities, along with the accompanying positive national media attention, secured his job. Evers relied heavily on freelance community organizer Rudy Shields, who came to Mississippi from Chicago and quickly earned a reputation for effectiveness, dedication, and fearlessness. In late 1965 and early 1966, Shields began organizing the Port Gibson movement, working closely with longtime underground NAACP members including Nate Jones as well as activist women and high school students. Together they rejuvenated and expanded the NAACP branch, which quickly grew to seventeen hundred members (more than 40 percent of them blacks over age twenty-one), and spearheaded an extensive campaign that increased the number of registered African American voters from a handful in late 1965 to more than twenty-six hundred (a decisive electoral majority) by May 1966. By early March of that year, with Evers as the featured speaker, weekly mass meetings and marches drew hundreds of enthusiastic participants, and Evers initiated protest marches aimed both at Alcorn College’s substandard resources (a result of Mississippi’s Jim Crow higher education policies) and at Boyd’s heavy-handed, dictatorial policies, which, among other things, isolated the campus from civil rights activism. The Alcorn protests culminated on 4 and 5 April as thousands of African Americans from Claiborne and adjacent Jefferson County gathered near campus. While lawyers battled in court over whether protesters could march on campus, large numbers of lawmen blocked the protesters from entering the college grounds. After two days of peaceful rallies, police officials gave demonstrators one minute to disperse before wading into the crowd with billy clubs and tear gas. Despite considerable national media attention and years of related legal action, this police riot essentially ended the Alcorn protests. A few days earlier, on 1 April, the Port Gibson NAACP had initiated a boycott against white merchants after several weeks of unsuccessful negotiations with white business and civic leaders. The black community had issued more than twenty demands, including the immediate desegregation of public accommodations (as mandated by the Civil Rights Act of 1964); the addition of blacks to community boards and juries and hiring of blacks as policemen, sheriff’s deputies, and local business and government officials; and the extension of courtesy titles such as Mr. and Mrs. to African Americans. Though the boycott received widespread support from African Americans, Evers, Shields, and their allies also used peer pressure and coercion to ensure almost 100 percent compliance. After a ten-month standoff, during which time several white merchants went out of business rather than negotiate with African Americans, most merchants agreed to use courtesy titles and hire African American clerks in exchange for an end to the boycott. Those who refused remained targets of an ongoing selective-buying campaign. By this time, the local movement was looking to the 1967 countywide elections, hoping to translate the overwhelming black population majority into political power. Despite significant white resistance, Claiborne County blacks were more successful than most across the state, electing four blacks to political office, including Geneva Collins as chancery clerk and William Matt Ross to the powerful board of supervisors. By 1975 blacks won twenty-three of thirty-two county elective offices, including a majority on the board of supervisors and every countywide position except sheriff. The Claiborne County movement’s political accomplishments reflected Evers’s popularity as a political boss as well as Shields’s grassroots organizing skill. A generation of skilled local activists mentored by Shields continued organizing after he moved on to other Mississippi communities. The 1967 boycott settlement and elections brought the mass movement phase of the Claiborne County movement to an end. However, conflicts between African Americans and whites persisted as the former sought to achieve full citizenship rights and the latter clung to inherited power. For example, white officials turned down millions of dollars in federal funding rather than use it to improve public services for African Americans and allow a related annexation that could strengthen black voting power in Port Gibson. Similarly, white leaders turned African Americans away from white churches, removed drugstore seating rather than integrate, and fled the public schools when the US Supreme Court required a single, integrated system. In April 1969 a white police officer with a reputation for racist violence shot and killed an unarmed African American man on his front porch. Blacks reacted by reinstating the boycott against all-white merchants. White merchants, encouraged and supported by the Citizens’ Council, responded by filing suit against the NAACP and more than one hundred Claiborne County African Americans, seeking immediate injunctive relief and more than $3.5 million in damages. The case, Claiborne Hardware, et al., v. NAACP, et al., spent thirteen years winding its way through the state and federal court systems. In 1976 the Mississippi Supreme Court awarded the merchants more than $1 million in damages; six years later, the US Supreme Court unanimously reversed the decision, affirming protesters’ right to use economic boycotts for political goals.